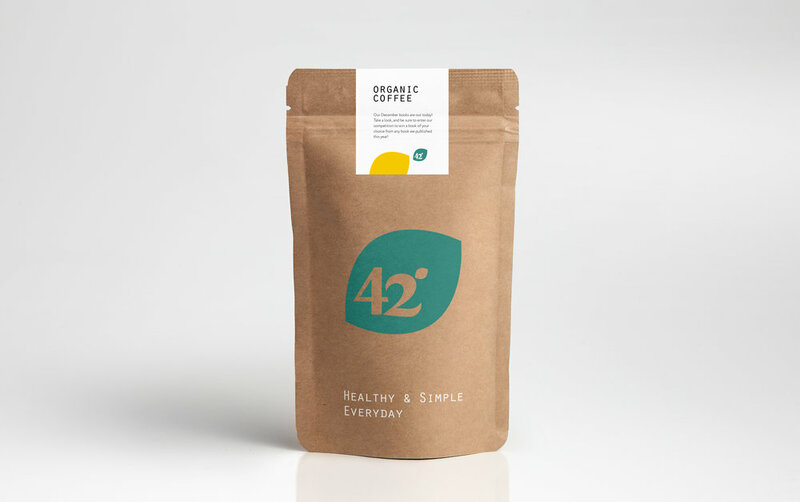 Logo and identity for 42 coffee shop. Location: Patriarch Ponds - center of fashion and restaurant life in Moscow. 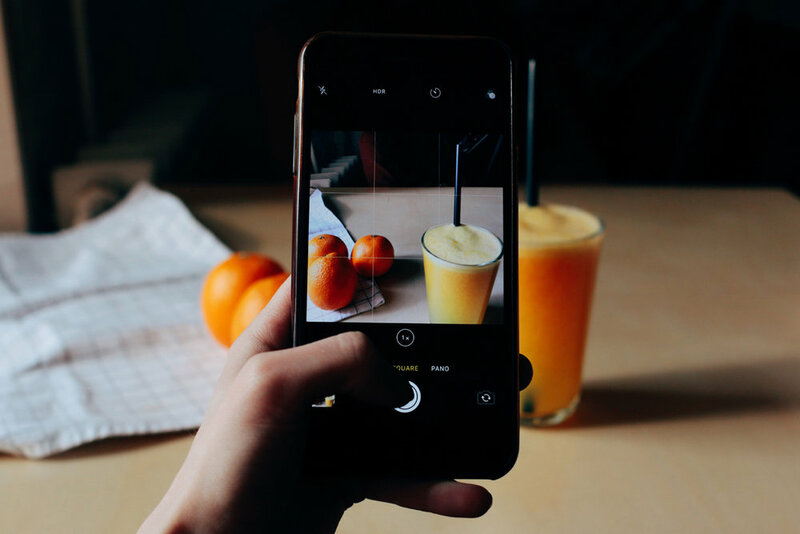 42 coffee shop is a proper coffee and healthy food. 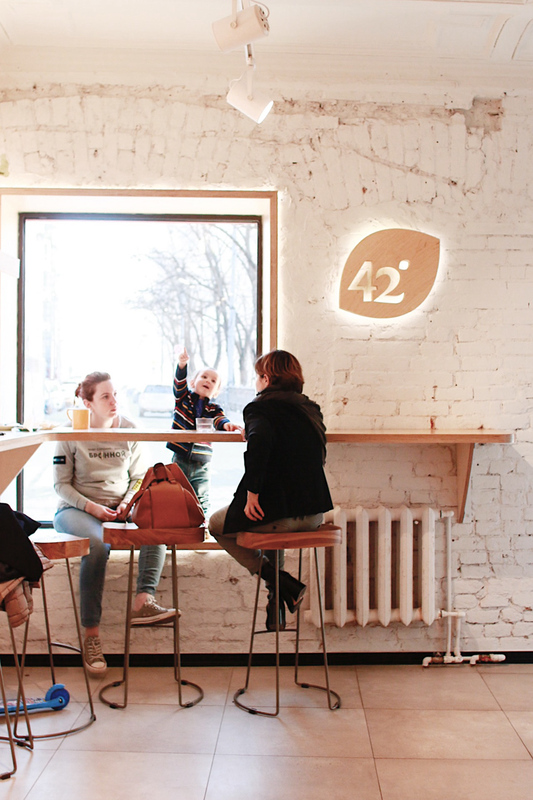 The peculiarity of 42 coffee shop are food and desserts which cooked at 42 temperature without sugar, gluten and milk. We created the project concept together with architectures. For interior decorations we made a special illustrations, and then painted it by hands. It created the effect of bright, live and creative space.